Racing home with a WIN for Beach Schools South West at the RuralBusiness Awards! 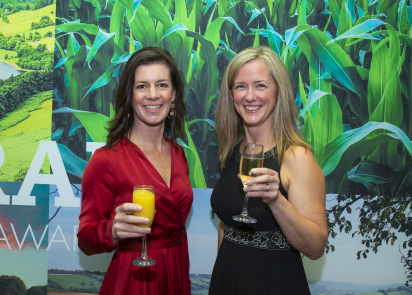 Community Interest Company, Beach Schools South West won the accolade of Best Rural Educational Business at the prestigious finals event held by the Rural Business Awards at Bath Racecourse. Company Directors Tess Stuber and Alexis Bowater represented the Beach Schools South West team as they attended the event, being one of five businesses in their category to reach the finals. Beach Schools South West make it no secret that they are proud to teach on the beach. Their full-time practitioner travels around the beaches of the South West to take children out of the classroom and onto the beach for curriculum-linked learning and for them to learn about the world around them - improving their social and academic outcomes and boosting their health, wellbeing, mental health and life chance outcomes. Children are taught about the world around them and their place in it. Thousands of children in Devon and Cornwall have benefitted from beach schools sessions delivered by the Community Interest Company, many of whom have never been to the beach before - not only those living in rural areas but those living in cities too. "Beach Schools South West (BSSW) is the only Community Interest Company dedicated to teaching children on the beach. We have been established for five years and have had a permanent, positive, transformational impact on thousands of children across the South West," says Company Director, Tess Stuber. "There are many Forest School facilitators in the region which hold the same philosophy as us, teaching in the outdoors, but we are the only organisation to take the Forest Schools philosophy and apply it to the marine environment, exclusively." "BSSW has taken a bold step in bringing outdoor learning to the shoreline that no one else has, particularly with our charitable objectives so it is wonderful to have this recognition. We did something different. People didn't believe we could do it, we were out there, we stepped off the map - and to be honest it was scary. But it worked. To date we have changed the lives of more than 15,000 children in Devon and Cornwall in a positive, permanent and irreversible way." Co-director Alexis Bowater adds: "We continue to work with disadvantaged children across the region. Right now, we have ambitious plans to take hundreds of disadvantaged Primary School children from Plymouth and introduce them to the marine environment, many for the first time. "At a time when Britain's Ocean City is looking to become a National Marine Park we back that campaign entirely. Simultaneously as it happens we are rolling out a pilot project working with children with mental health challenges and their families to improve their lives through six week sessions of Beach Schools. Our long-term vision is to make sure every child in the West Country has access to learning in the marine environment so they can understand the world they live in and help conserve it. "We believe that the custodians of the future are the children of the present and if they don't know about the sea, why would they want to save it? It's estimated that up to 9 out of 10 Primary School children in Plymouth have never been to the beach. That has to change. If we are to conserve anything at all about the marine environment then we need to absolutely go back to square one and start with education and making sure that children know that the beach and the sea is actually there."